Manage diabetes on your schedule through the Diabetes Digital Medicine program. 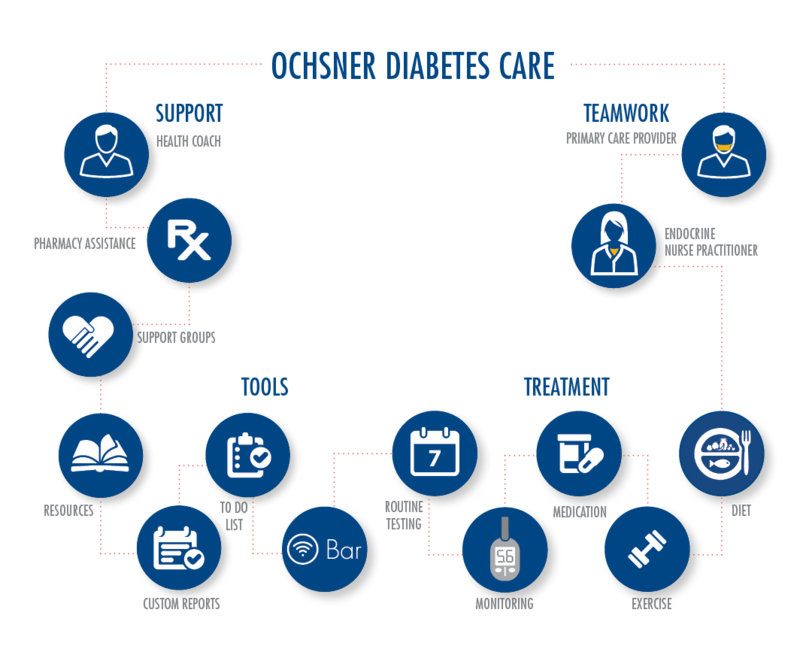 Looking for a more convenient and comprehensive way to manage diabetes? Through the Digital Medicine program, take blood sugar readings at home and get your results sent in real-time to your Care Team. Your physician will know the results of your blood glucose reading when you do, allowing your physician, pharmacist and health coach to make real-time adjustments to your care, as needed. For people living with diabetes, keeping up with all that is required to maintain good blood sugar levels can be a time-consuming and frustrating task. Traditionally, adjustments to your care are often only made during visits to your provider once or twice a year. blood pressure and reducing hospital readmissions for heart failure patients. With the press of a button on your easy-to-use glucose monitor, you can measure your blood sugar levels from anywhere: at home, at the office or on-the-go. Your blood glucose data is automatically transmitted, via your smartphone, to your Care Team for review. tips, and monthly progress reports. Approximately 29 million Americans, about 8 percent of the population, have diabetes. Diabetes is characterized by high levels of blood glucose (sugar). Uncontrolled diabetes can cause serious health problems. Our technology specialists can help you start measuring and monitoring your blood sugar today. Talk to your doctor or send a message to your doctor through your MyOchsner account.